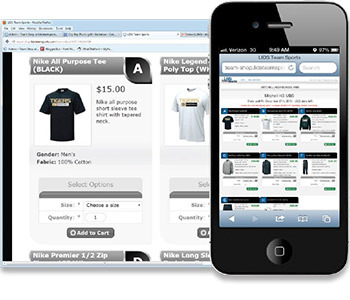 Flash Stores are short-term online stores customized to fit your program's needs. They can be set up to sell spirit wear, team uniforms and equipment or to track fundraising sales. Flash Stores benefit from easy accessibility and customization options. With our ability to pack and ship sales individually, Flash Stores free up coaches from having to manager the logistics of traditional fundraising programs so they can get back to the thing they do best - coaching. Flash Stores can be customized to fit the needs of any organization. We create stores for teams from Little Leagues to Major Leagues. We work with large corporations and small startups. If you have an idea, bring it to your BSN Sports sales rep and find out how we can help. Meet with your BSN Sports representative to choose designs, garments, and set pricing. Pass out fliers to your players, students, friends and family to advertise your store. Sit back while your store opens online and generates sales. 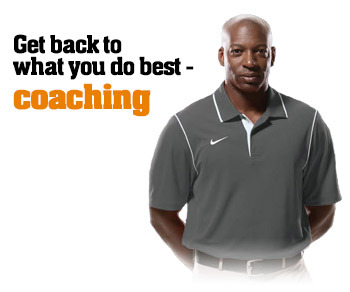 Apply profit to team uniforms, equipment or other program needs.